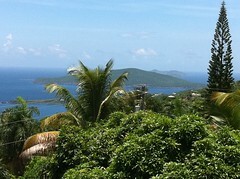 Live De Life Living in the USVI's: Rain is gone, Sun is here! Rain is gone, Sun is here!, originally uploaded by captainjay. A couple huge rain storms passed through and now it's beautiful out. We were going to go out on the boat for a little while but decided to chill at the house. We've been doing a lot of running around lately so sometimes you just have to chilax.